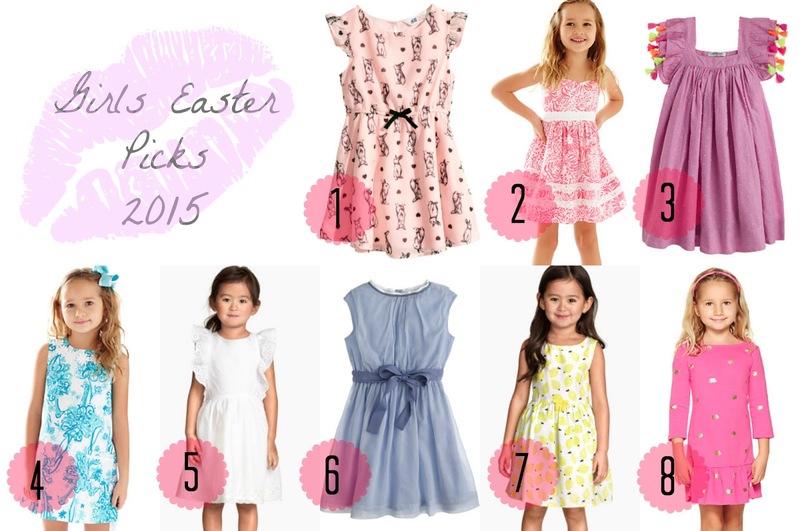 As I previously mentioned in Adult Easter Dress Picks, I am a huge fan of the "easter dress" and if I am going to be honest, if I could just have blown up versions of children's dresses... I might be the happiest 21 year old in the world lol. ONE: Patterned Dress (H&M)- I love the softness of the pink and the cute bunny pattern. Plus I am a total sucker for bows soooo... Plus bunny for Easter, *Miranda Priestly voice* groundbreaking. FOUR: Little Lilly Shift Dress (print: Resort White Back It Up) (Lilly Pulitzer)- I feel like this is the most "grown up" of the selections. But I love the fun print and it basically just makes me wish I was in resort somewhere tropical. So the name of the print is basically perf. FIVE: Cotton Dress (H&M)- I really am so pleasantly surprised at how adorable everything is at H&M when it came to the kids, I find for myself I am weeding through the site or store for hoursss. It's such a simple, sleek design and for me (I have no clue why) it just screams Easter Sunday or maybe Alice in Wonderland as well lol. 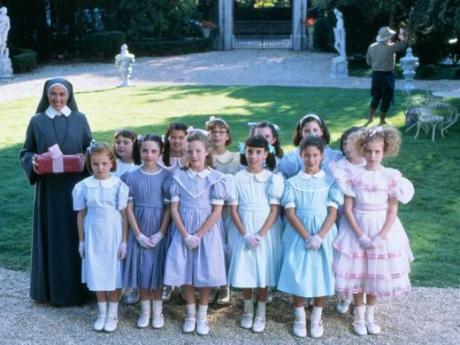 SIX: Organdy Dress with Contrast Bow (Crewcuts)- So I have an obsession with what I call the "Wendy Dress" if it slightly resembles the look of Wendy's nightgown (Peter Pan) and this is basically a dream, also my bow obsession.... so there's that. SEVEN: Cotton Dress (H&M)- I thought the print was fun (it's lemons) which might be a little odd, but you might as well get away with wearing lemons on your dress while you can right? EIGHT: Morgana Dress (Lilly Pulitzer)- I love the color pink, am obsessed with gold, and well who doesn't like polka dots? So mash them all together, and Lilly's got herself a pretty amazing dress. What are some of your favorites that you've seen so far?? I'll take #6 for myself and the rest for my daughter, thank you very much. Nos. 1 and 6 are my favorite. But all these dresses are so lovely. So cute!